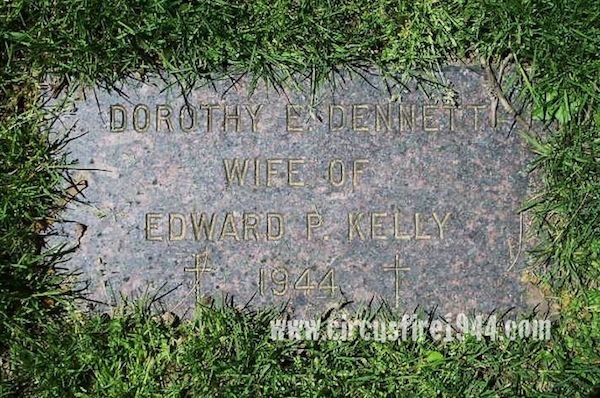 Mrs. Dorothy Elizabeth (Dennett) Kelly of 21 Boswell Road, West Hartford, was born September 25, 1895 in Portsmouth, New Hampshire, daughter of Mr. and Mrs. Dennett. She was found dead at the circus grounds after the fire on July 6, and was buried at Mt. St. Benedict Cemetery in Bloomfield after services at the Ahern Funeral Home on July 12. 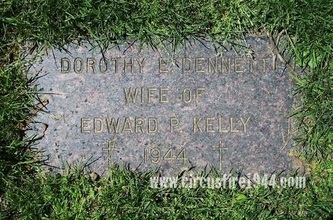 Mrs. Kelly leaves her husband Edward P. Kelly, 69, and her sister Mrs. Mabel Parker of Pittsburgh. Body #2169 was identified at the State Armory as Dorothy Kelly by a friend, Thomas Cross. 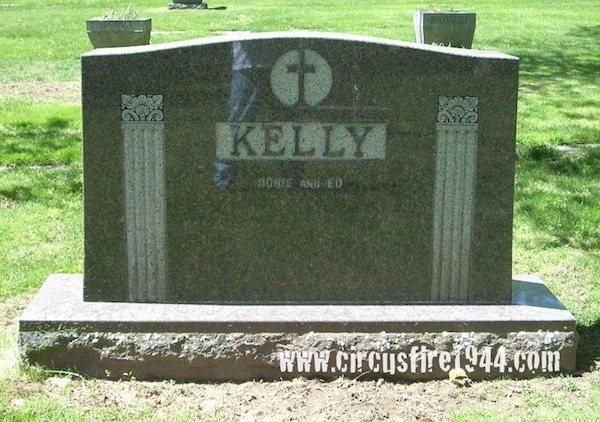 Mrs. Kelly's estate was awarded $13,500 by the arbitration board.